As the head of a major auto manufacturer with facilities throughout North America, it’s no surprise that Mary Barra had a meeting with the Prime Minister of Canada, Justin Trudeau. In recent years, GM has been pulling back from markets that are no longer profitable and reorganizing its manufacturing facilities to meet the demands of its current dealerships. While there has been no announcement of any change in production in Canada, clearly the government of our northern neighbor sees what’s going on and wanted to confirm where it stands with GM. 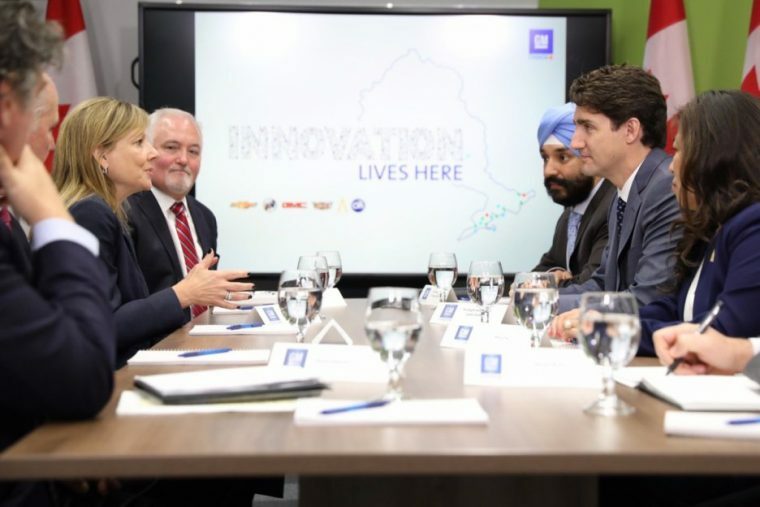 The meeting was somewhat secret in that it did not appear on PM Trudeau’s public itinerary, but it was clearly planned well enough in advance that he was accompanied by his minister of innovation Navdeep Bains and Mary Ng, the Member of Parliament for Markham, where the meeting was held. When the parties did meet in Ontario, the prime minister’s Twitter account did tweet a photo from the meeting, saying simply that the meeting was called to discuss Canadian jobs and how to empower women in business. Before the meeting took place, GM announced its intentions to hire about 1,000 software engineers in the next five years in Ontario to add to the 700 people that will eventually be employed at technology center in Markham. Canadians should not worry too much about GM’s investment with Canada, as the automaker itself reports a good working relationship with the country and its leadership. Of course, all of the female editors at The News Wheel are very jealous of Mary Barra. Hopefully one day we will be important enough to get a meeting with North America’s current crush, Justin Trudeau.